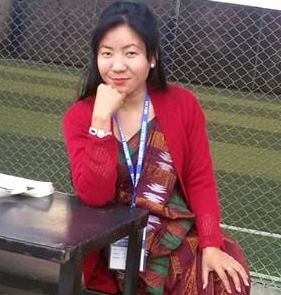 One day when a friend of mine complained, “We discussed big issues, but till now none has published a lesson plan which is useful for an English teacher of Nepal”, I felt guilty then, but promised to do something. Coincidentally, several months later I underwent an intensive training for a month when not only I made dozens of ELT lesson plans (reading, writing, listening, speaking, grammaring, etc. ), but also did teach several classes at different institutions. This is one of the ‘Reading Lesson Plans” that I made and executed successfully in front of my peers and trainers during that period. Although this is based on Hopkins et al.’s (2009) Smooth Moves, I chose a passage “Unseen heroes” by Shakya (2008, P. 5) in Nepali context. Moreover, both processes and timing were tested in the fields. Students had to construct their ideas instead of getting them directly from the teacher. As Shin (2007) says that “[m]ore detailed lesson plans must be designed for each day of instruction” (p.3-8), I also believe that entering the class with lesson plans and materials is like going to the battlefield with guns and ammunitions ready. Although how a teacher presents himself/herself in the class matters, teaching according to the plan works. Even to deviate is easy as there has been a framework in advance as Hopkins et al. (2009, p. 151-152) claim “usually good classes don’t just happen. They were planned to happen, and carried out successfully.” This format (lesson plan) provides a concrete task that will focus the teacher on the planning process and give wonderful ELT class.